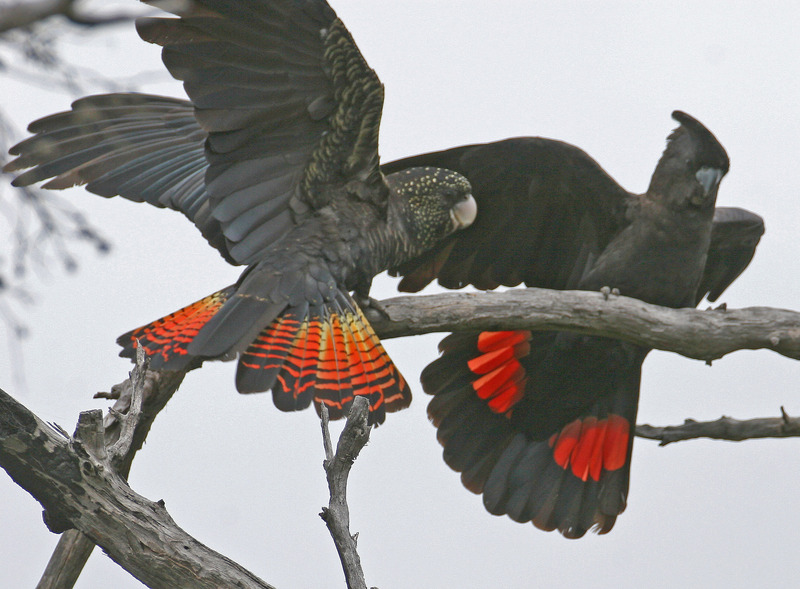 BirdLife Australia and the Recovery Team are looking for volunteers to assist with the 2018 annual count for the nationally endangered South-eastern Red-tailed Black-Cockatoo. This year the count will be held on Saturday 5 May across the cockatoo’s range in the South East of South Australia and South-west Victoria. We are seeking as many volunteers as possible to help search for Red-tails across more than sixty sites in stringybark forest, from Keith to Mount Gambier in SA and Nelson to Little Desert National Park in Victoria. Participating is easy – all you need is partner/friend or group, binoculars, a love of the outdoors and a vehicle; preferably 4WD. Volunteers will cover their allocated site via vehicle, looking and listening out for the distinctive ‘karak-karak’ call of the cockatoo. 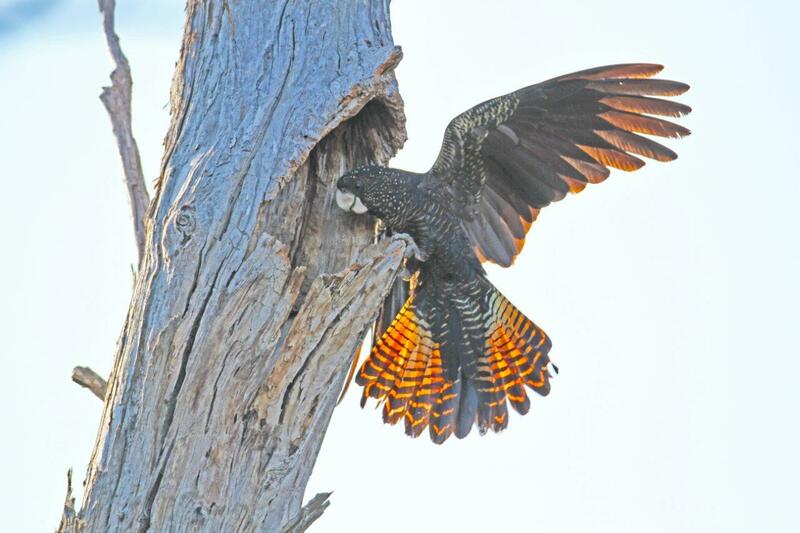 Volunteers need no prior experience with surveying for birds but are required to become familiar with what Red-tails look and sound like, as they can often be mistaken for the more common Yellow-tailed Black-Cockatoo. To hear the difference between a Red-tail and Yellow-tailed Black-Cockatoo please click here. Landholders who have stringybark are also encouraged to search their own property on the day. You can request a particular area to search when you register or nominate to search your own property. 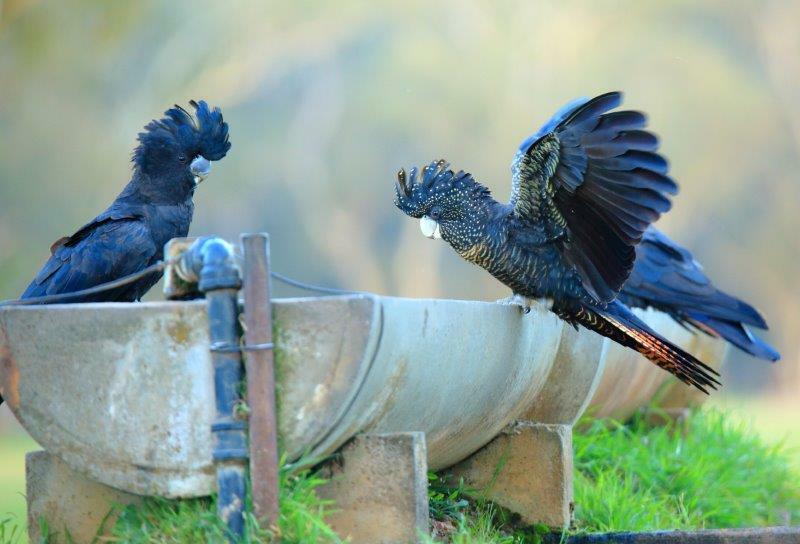 Red-tails regularly water at stock troughs and feed in stringybark habitat that is inaccessible to our counters. As such, we encourage all landholders or anyone who notices birds on the day to phone in their sighting. The most important reason for conducting the annual count is to identify large flocks for counting as part of our annual flock counts. Flock counts are undertaken each year, following the count, to gain an indication of breeding success in previous seasons. The count also allows us to identify patterns of habitat use and helps us to raise awareness and build community capacity in recovery efforts. To make our count a success we are encouraging anyone that sees Red-tails from now onwards to report their sighting to the Project Coordinator on Free-call 1800 262 062 or via our website by clicking here or email redtail@birdlife.org.au. Reporting a sighting is simple, just include your name, date and time of sighting, how many Red-tails were seen and where (map reference is preferable) and what they were doing (ie feeding). For those new to the count an annual count training session will be available on the morning of the count in Casterton. Volunteers will learn what Red-tails look and sound like, what their feeding signs look like and how to identify stringybark habitat apart from other gum woodlands. Please nominate your interest in attending when registering for the count. Volunteers are also welcome to attend the annual Bailey’s Rock Campout near Dergholm on the night of the count. The campout/dinner provides a great opportunity to share your results and to talk to others involved on the day. 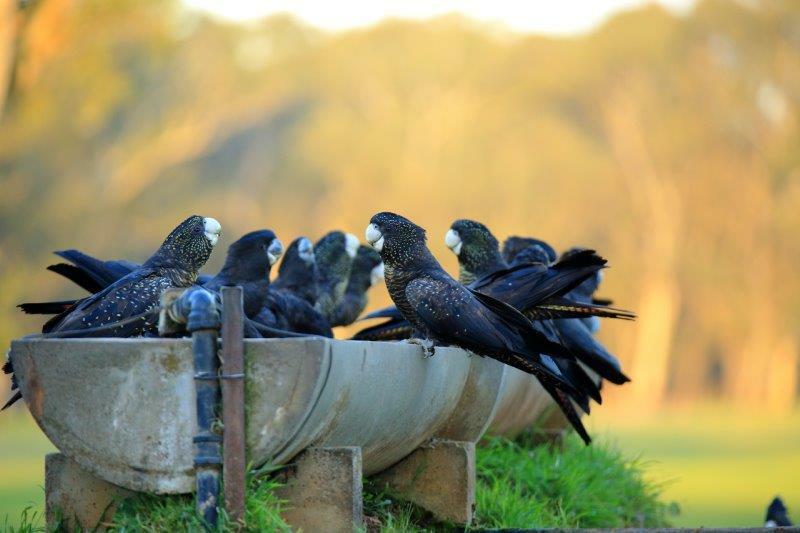 To register for the count or to find out more information about what’s involved please contact Bronwyn Perryman on 1800 262 062 or via email redtail@birdlife.org.au. You can also register via our annual counts 'How to get involved in counts' page by clicking here. A volunteer information sheet is also available for those wanting to know more about what's involved on the day. Registrations are taken up to two weeks prior to the count; however we highly recommend registering well before the deadline to secure your preferred search area. A package of survey instructions and a map will be sent out to registered volunteers in the fortnight leading up to the count. We look forward to hearing from new and returning participants. Although we can’t guarantee you’ll see a Red-tail on the day, we’re sure you’ll enjoy a fun day out in the bush searching for our colourful cockatoos.